This is a real solid bronze 3-dimentional double sided hand-crafted antique finish pendant. 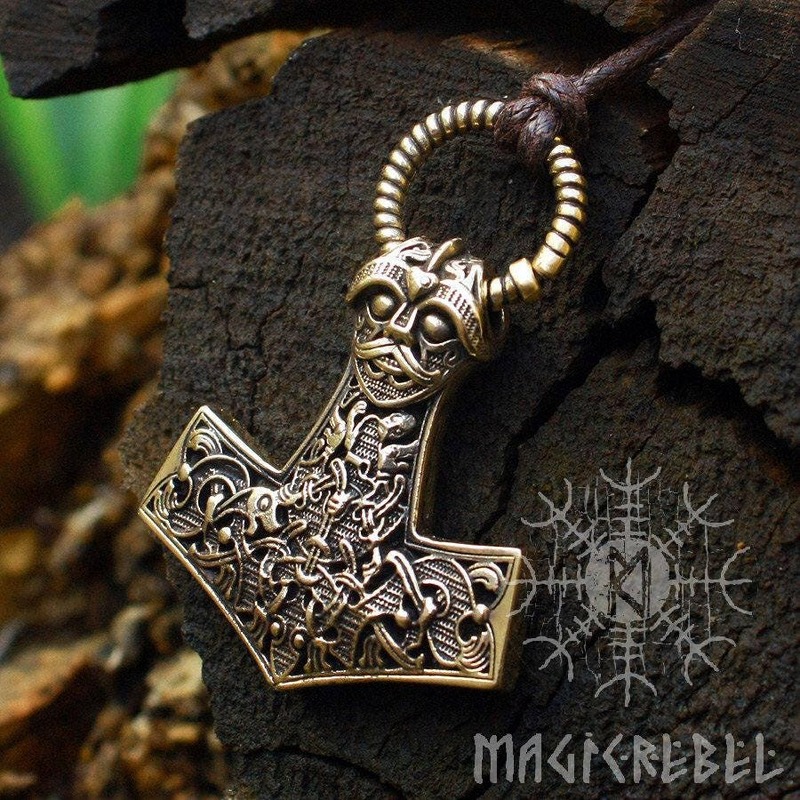 The back side of the Viking style pendant also features a Tiwaz rune on the top of the pendant. 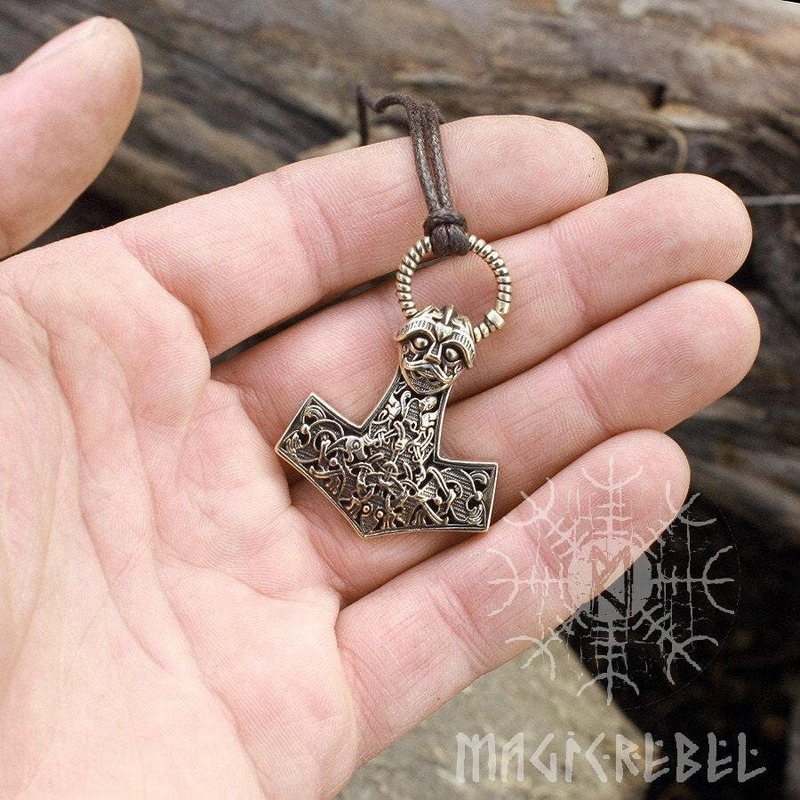 ► The bronze Thor hammer pendant size is 1.5" by 1.35" inches (37 mm by 34 mm). Pendant weight is 24 grams. It is ox finished for antique look. 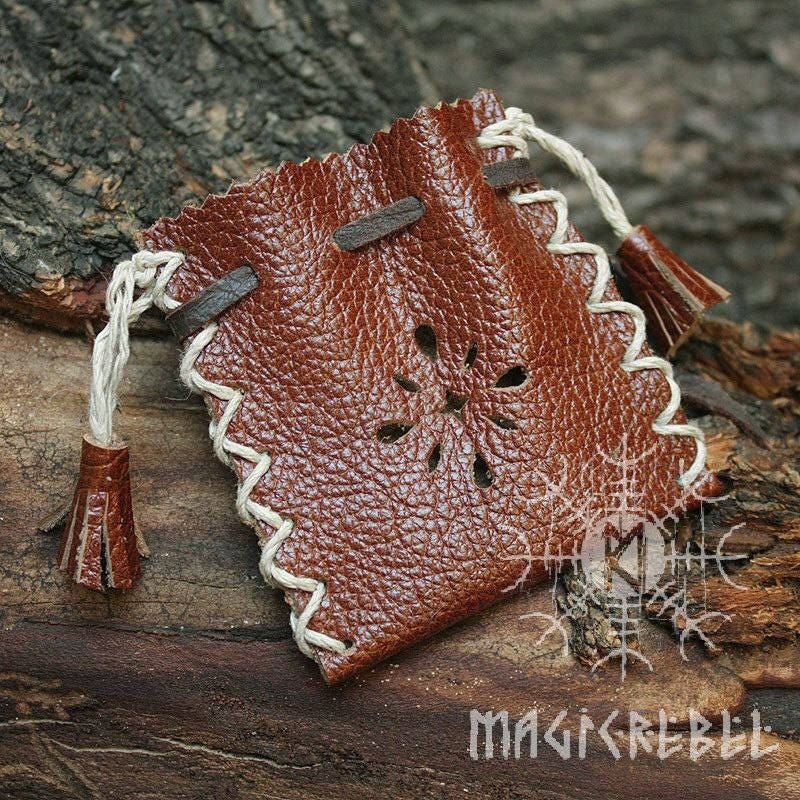 The pendant comes on a brown waxed cotton cord. 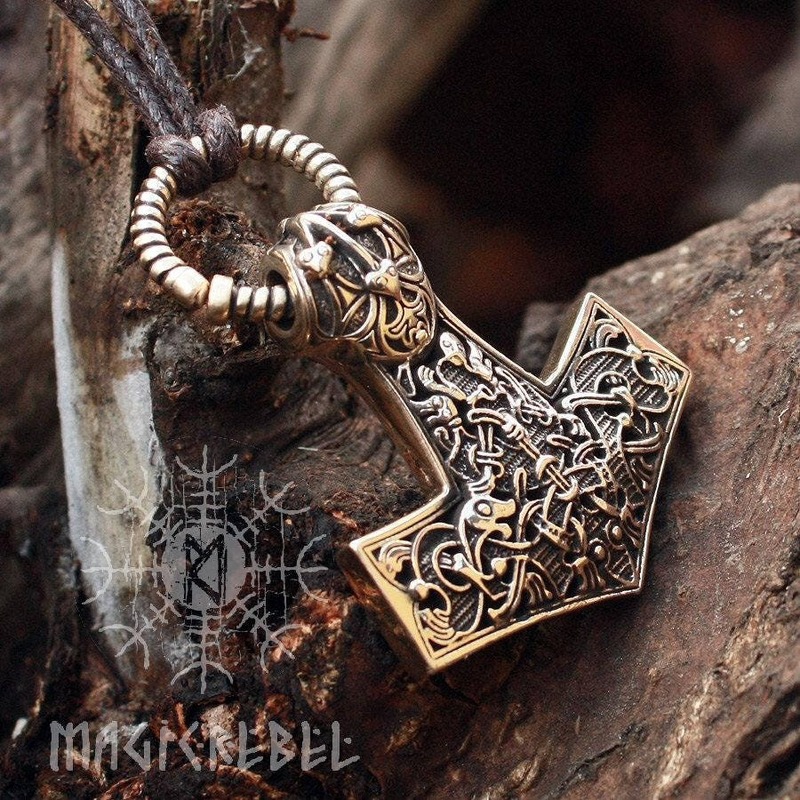 Mjölnir is the hammer of Thor, the Norse God of Thunder. It simply means "crusher", referring to its pulverizing effect. 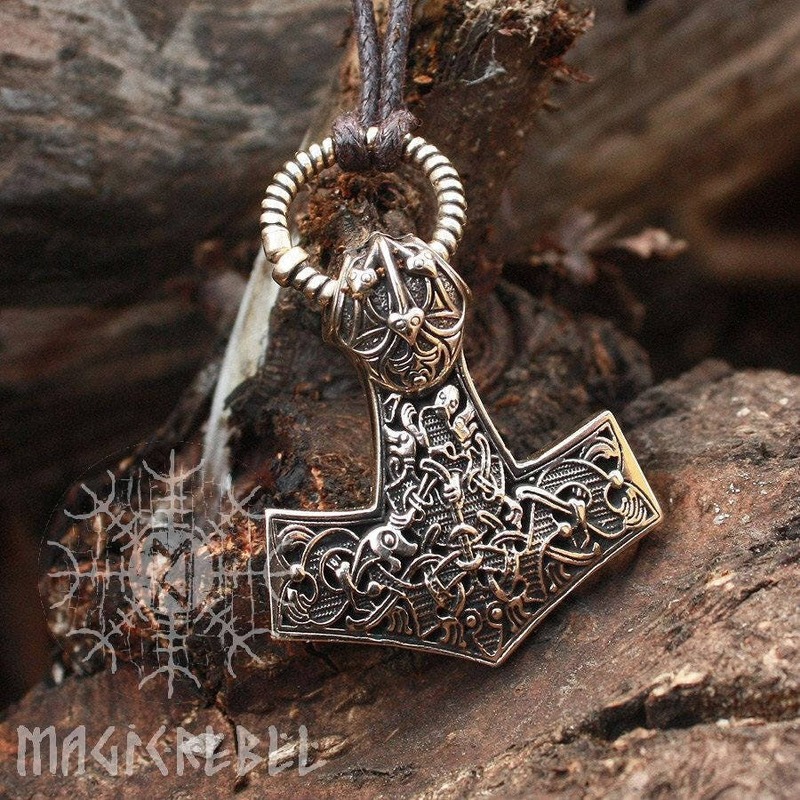 Mjölnir might be related to the Russian word molniya and the Welsh word mellt (both words being translated as "lightning"). This second theory parallels with the idea that Thor, being a god of thunder, therefore might have used lightning as his weapon. Thor is frequently referred to in place names, the day of the week Thursday ("Thor's day").